QA UltraBounce Gold is a luxurious PU foam underlay which gives you the best comfort underfoot. It has an excellent impact sound reduction rating of 44dB. The QA UltraBounce gold is the best choice when you are looking for a product with unrivalled comfort and impact noise reduction. The thick luxurious PU foam will add an extra quality to your carpet and home. Bounceback supreme! – UltraBounce Gold feels exactly like it reads…it retains its ability to keep bouncing back much better that typical sponge rubber products, so your carpet keeps that ‘just fitted’ look for longer. Backed by extra strength – The strong mesh backing gives UltraBounce Gold excellent stability, so there’s so moving or stretching- greatly reducing wear and tear to the carpet. So comfortable underfoot – Only top grade polyurethene foam is used in this underlay so it gives an unbeatable soft and luxurious feel to your carpet. Your feet are in for a treat! 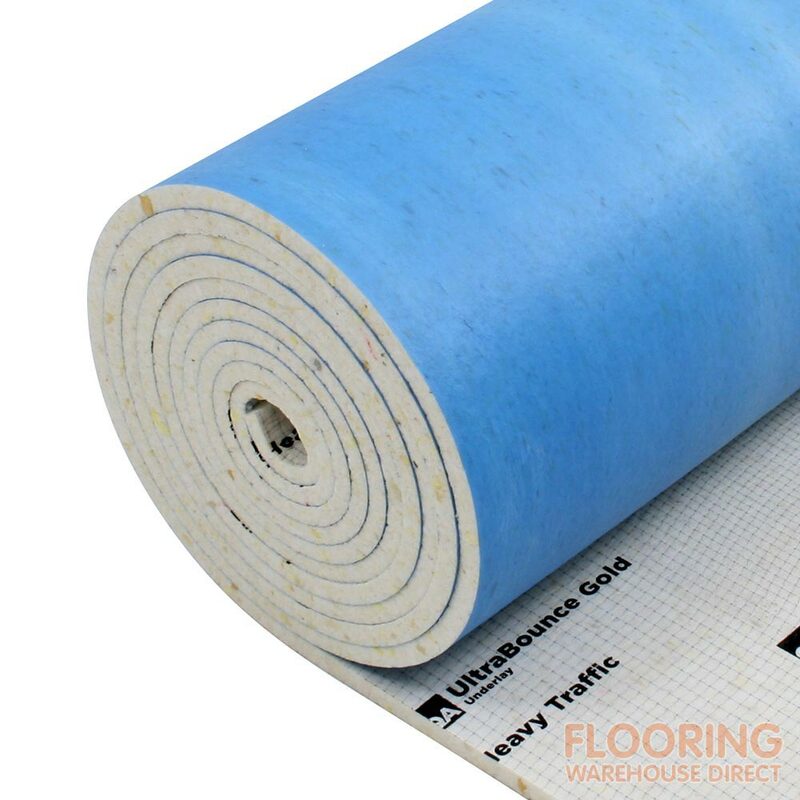 This product is our best selling impact noise reduction underlay for carpeted floors. Ideal for both domestic and commercial settings – thick for ultimate comfort and support.